Welcome to the SparkFun Electronics and mobile application resource section. In this section, you will find various resources to get started developing mobile applications to interact with your SparkFun Electronics projects using Evothings Studio. SparkFun Electronics is an electronics retailer that manufacturers and sells micro-controller development boards and breakout boards. 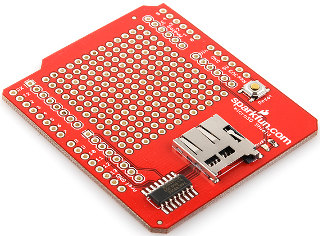 In addition to selling the bits and pieces required to make electronics projects possible, they also offer numerous online classes and tutorials to help educate individuals in the world of embedded electronics at http://learn.sparkfun.com. Below are a number of resources on our website to support getting started with developing mobile apps using Evothings Studio. Enjoy discovering a new world of possibilities combining your SparkFun Electronics projects and mobile applications!